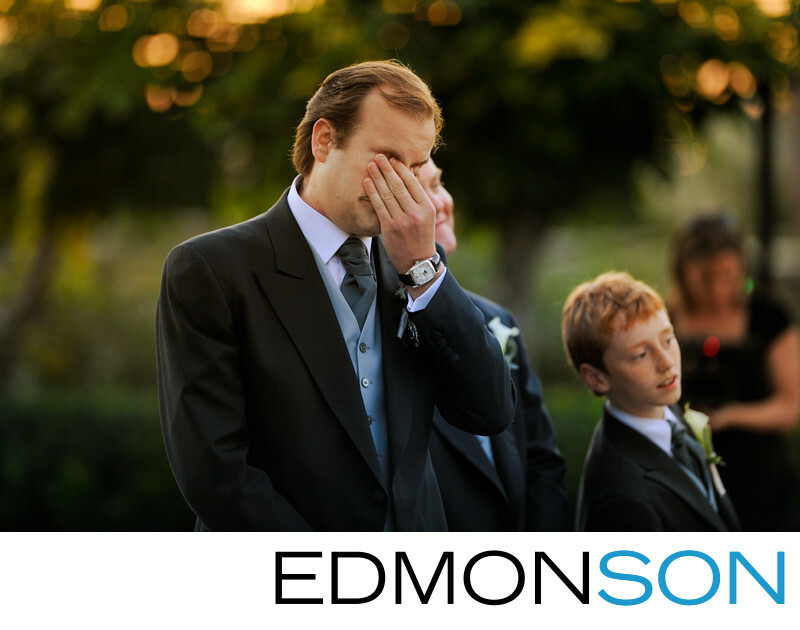 Groom wipes the tears from his eyes as the bride makes her appearance as the best-man looks on to see his mother. This spectacular garden wedding held at the Dallas Arboretum was truly a once-in-a-lifetime event. Wedding coordination provided by Mary-Frances Hurt of DFW Events. Set design by Nelson Robinson of Stageworks in Ft. Worth. 1/250; f/2.0; ISO 640; 200.0 mm.